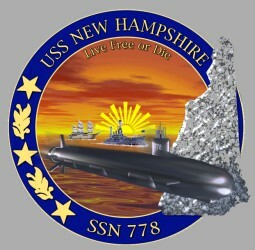 USS NEW HAMPSHIRE is the fifth VIRGINIA - class nuclear-powered attack submarine and the third commissioned ship in the Navy named after the state of New Hampshire. One additional ship named NEW HAMPSHIRE was BB 70 but she was canecelled before her keel was laid. The submarine received its name after a letter-writing campaign by students of Garrison Elementary School in Dover, N.H. For months, their campaign inundated members of Congress, senators, the New Hampshire governor's office and the office of the Secretary of the Navy. 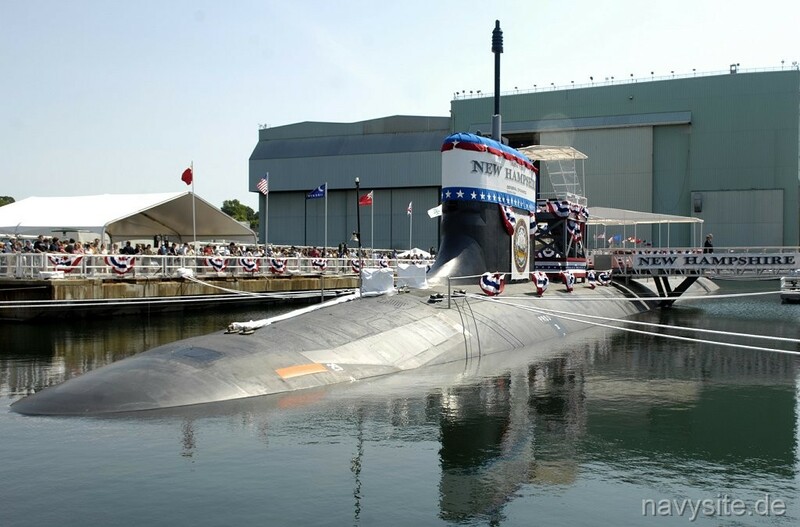 Their tenacity paid off in August 2004 when Secretary of the Navy Donald Winter announced in a ceremony held at Portsmouth Naval Shipyard, N.H., that SSN 778 would be named USS NEW HAMPSHIRE. This section contains the names of sailors who served aboard USS NEW HAMPSHIRE. It is no official listing but contains the names of sailors who submitted their information. Click here to see which USS NEW HAMPSHIRE memorabilia are currently for sale on ebay.